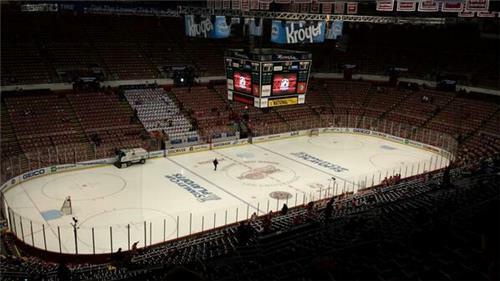 Get updates and commentary from Joe Louis Arena as the Bruins take on the Detroit Red Wings in Game 3 of their Stanley Cup playoffs series. Fans in front of the press box are yelling something about taking a selfie. Veiled David Ortiz reference? Watching Brendan Smith try to take on Zdeon Chara never gets old. Brad Marchand and Matt Bartkowski are the last off the ice. DET D: Kronwall-Smith, Quincey-DeKeyser, Lashoff-Kindl. No changes. 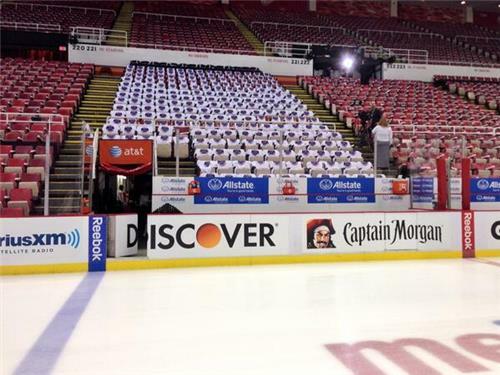 Pet DET warmups: Franzen-Datsyuk-Abdelkader, Tatar-Sheahan-Nyquist, Jurco-Helm-Andersson, Legwand-Glendening-Miller. Alfredsson out. Rushes indicate that Bartkowski is in and Meszaros is out. On D, probably: Chara-Hamilton, Bartkowski-Boychuk, Krug-Miller. Per BOS warmups: Lucic-Krejci-Iginla, Marchand-Bergeron-Smith, Florek-Soderberg-Eriksson, Caron-Campbell-Thornton. I'm seeing a a good number of Bruins fans showed up early, sitting near the boards. Black and gold dots in a sea of red. Someone is holding a "Chara Sits When He Pees" sign during warmups. In the Wings' end, not the Bruins'. Smart. As planned, #Bruins ' Bartkowski on ice for pre-game warmup. He's a GTD. As expected, Matt Bartkowski is out for warmups with the Bruins. No Corey Potter. No Daniel Paille. No Chris Kelly. No Dennis Seidenberg. Matt Bartkowski is on the ice for warmups with the Bruins. 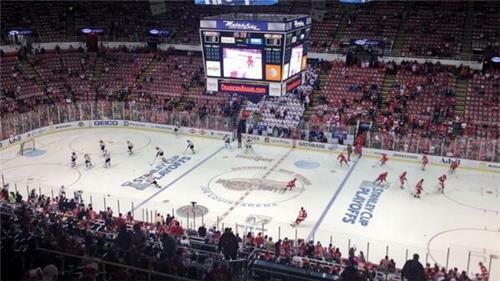 Rask & Howard lead their teams on for pregame warmups for Game 3. Pregame on #NESN now, game time 7:30. BE THERE! Bruins take the ice to large smattering of boos. Ah, Detroit. Tuukka Rask leads the Bruins out for Game 3 vs. the Red Wings. Tonight's other ref, Marc Joannette, was middle of the pack of the 33 refs worked 60 or more games. Bs want a physical game, Det wants PPs. Kevin Pollock, one of tonight's refs, tied for fewest minors called of all refs this season re: ScoutTheRef.com. Let 'em play? 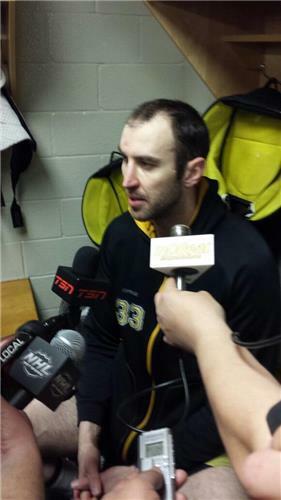 B's need to play physical again and do it all game long. They did a good job for the most part in Game 2, exception being the awful 2nd period before Looch bailed us out. Ah, to dream.RT @PaulStewart22 : What suspension would I give Cooke if it were my call: 50 games. He's forfeited his right to play this game. 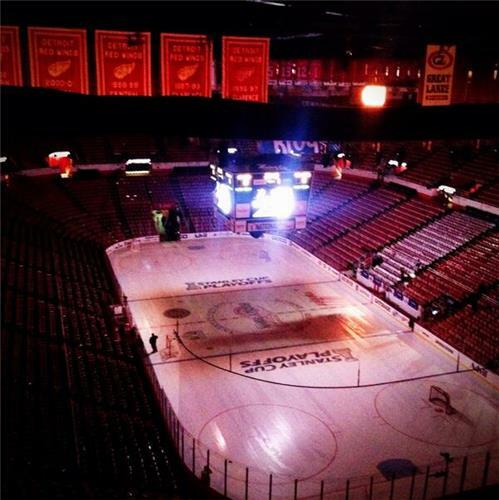 At Joe Louis Arena tonight - packed house will make it loud & rowdy. 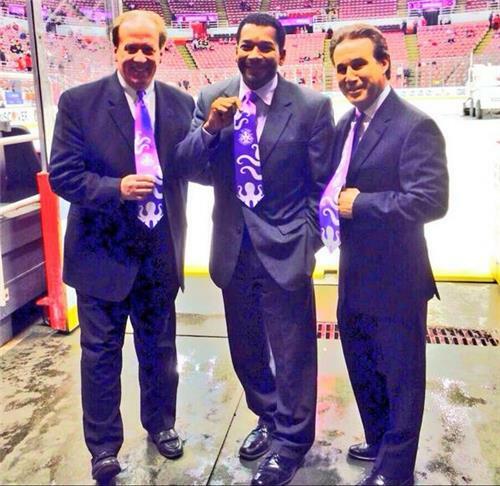 We hope it's that way where you're watching #NESN . 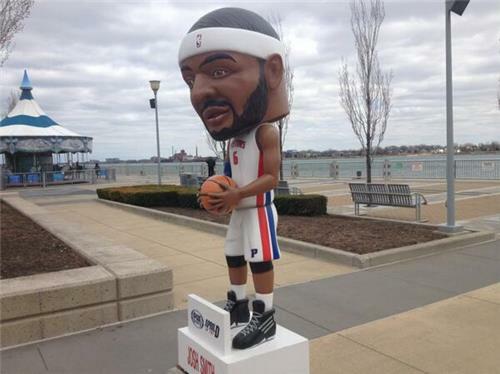 Gm 3 v Detroit 7:30! A little less than an hour till puck drop. Immediate question that needs answering when the Bruins hit the ice: Will Matt Bartkowski play? Totally different music selection at Joe Louis Arena. Profoundly different. 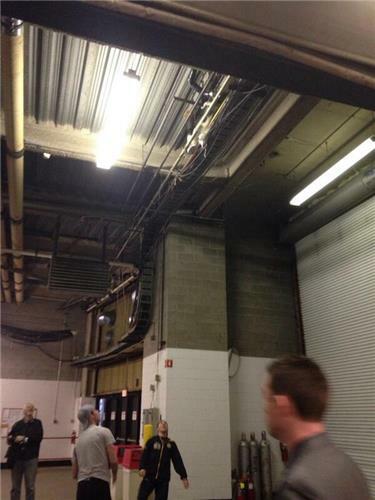 Brad Marchand is currently throwing his sneakers at the ceiling to dislodge the soccer ball. He's not very successful. And to the one (1!) percent of runners who didn't finish Boston, my self-loathing thanks you. Guess I'd put Cooke suspension between Thornton's 15-gamer, Torres' 25. 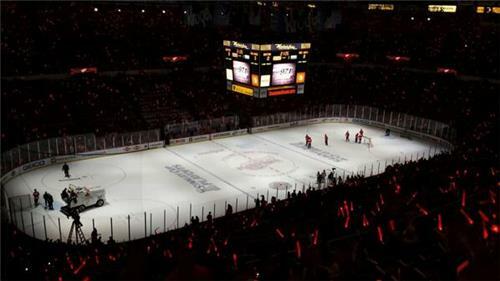 DET led Game 1 for 3:01. Bruins led Game 2 for 50:32. OT. 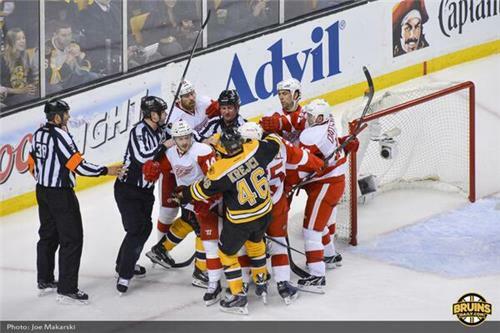 Winner takes series.RT @Seabass36 : @GlobeKPD What's your feel for tonight?